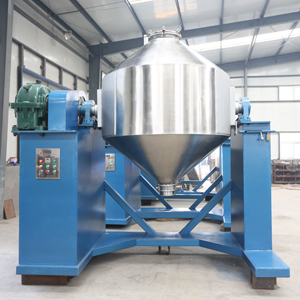 Double Cone Blenders are most often used for dry blending of free flowing solids. 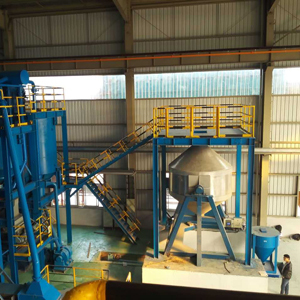 The solids being blended in these units can vary in bulk density and in percentage of the total mixture. 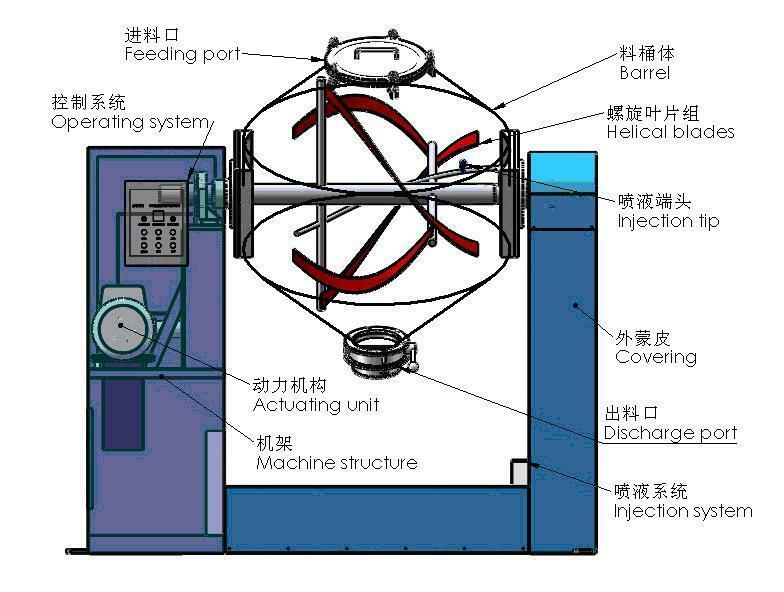 Materials being blended are constantly being intermixed as the Double Cone rotates. Normal cycle times are typically in the range of 10 minutes, however they can be less depending on the difficulty of blending. 1. 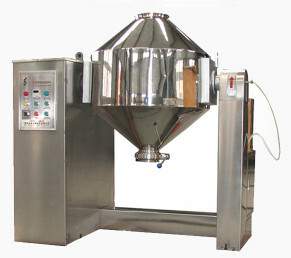 The conical shape at both ends enables uniform mixing and easy discharge. 2. Suitable size of butter fly valve at one end of the cone provided for material discharge & hole with openable cover provided at other end of the cone for material charging & cleaning.